Make the very best recording you can the first time around. Be well prepared: Make sure you're rested, well-fed, comfortable and familiar with the material. If you don’t get a good initial recording, you’ll have a very tough time producing a great product profitably. Be prepared! Know your script, get familiar with the characters, and practice pronunciations. Don’t use compressors, expanders, limiters, or gates when recording. Record “roomtone” at the start of every session. This is 15-30 seconds of “air” that you’ll use during editing. Give your files clear, explicit names. Leave cell phones outside of your booth! 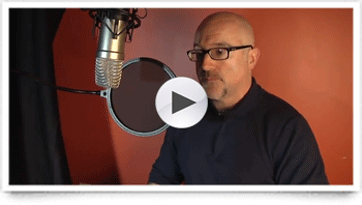 Read our 5-part blog series on best practices to avoid your audiobook getting rejected. "Why Did My Title Fail QA?"